Tractor Wheel Weights. Construction Equipment Weights. Idler Weights. Please contact us if you don't see what you are looking for. 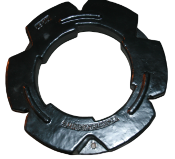 We have many patterns still available to produce weights for older models and brands. 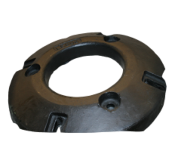 TF 1040 Wheel Weight for Massey Ferguson, Challenger and others. 4225-4270, 6150-6180, 6255-6290, 8120-8160, 8220-8280, 8450-8480 and others. DT160-DT225, DT160-DT225, DT180A-DT240A, DT204B-DT275B and others. 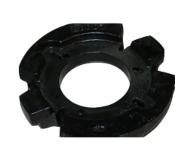 TF 138 Wheel Weight for New Holland, Case-IH, Massey, Mahindra, and others. Kioti DK55, RX6010C, DK65, DK65S, DK75 and others. Mahindra 5525, 6525, 4530, 5530, 6530, 7060, 8560, 4565, 5545, 5555, 5570, 3325, 3525, 3825, 4525, 6025, 4500-6525, 5520-7520, AND mPower 75 and mPower 85 with 28"
Ag Wheel and 4@13 1/4" hole pattern. 4225-4270, 4225-4270, 6150-6180, 6255-6290 and others. 2810-3910(4wd), 3010S, 3230-5030, 5610S-7610S, 5640-8340, 8010 and others. TF 148 500 Pound Weight for Deere, Case and others. Farm Tractors and Industrial Equipment. 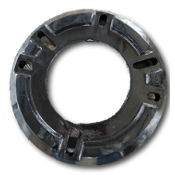 Mount Hole Centers: 4@ 9 ½ to 11 ½"
355 pound weight for many applications. 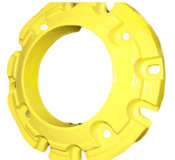 Popular wheel weight for orchard, and other narrow applications. Color matched to your brand. Brand New Casting. Color Matched polyurethane paint. Replaces John Deere T19293 in many applications. For 28" and larger wheels. 5045D, 5045E, 5055D, 5055E, 5065E, 5065M, 5070M, 5075E, 5075M, 5080M, 5083E, 5083EN, 5085E, 5085M, 5090M, 5093EN, 5095M, 5100E, 5100M, 5100ML, 5101E, 5101EN, 5103, 5105, 5105M, 5105ML, 5115M, 5115ML, 5125R, 5200, 5203, 5205, 5210, 5220, 5225, 5300, 5303, 5310, 5320, 5320N, 5325, 5325N, 5400, 5403, 5410, 5420, 5420N, 5425, 5425N, 5500, 5510, 5520, 5520N, 5525, 5525N, 5603, 5625, 6100D, 6105D, 6105M, 6105R, 6110, 6110D, 6110L, 6115D, 6115M, 6115R, 6120, 6120L, 6125D, 6125M, 6125R, 6130D, 6140D, 6140M, 6150M, 6170M, 6200, 6210, 6210L, 6215, 6220, 6220L, 6230, 6300, 6310, 6310L, 6320, 6320L, 6330, 6400, 6405, 6410, 6410L, 6415, 6420, 6420L, 6430, 6500, 6510L, 6520L, 6605, 6615, 6715, 7405 and others. Call for more information. M5040, M6040, M7040, M8540, M9540, M95S, M105S, M105X and many others. Call for details. Other options available. Farm Tractors and Construction Equipment. Orchard Tractors. 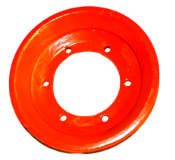 TF 178 Wheel Weight for Case-IH, New Holland, Kubota, others. Replaces: 405830A1 & 199403A2 and others. Note: Will not fit Steiger 500-620 models. Fits Case IH Tractor Magnum 180, Magnum 190, Magnum 200, Magnum 210, Magnum 215, Magnum 220, Magnum 225, Magnum 235, Magnum 240, Magnum 245, Magnum 250, Magnum 255, Magnum 260, Magnum 275, Magnum 280, Magnum 290, Magnum 305, Magnum 310, Magnum 315, Magnum 335, Magnum 340, Magnum 370, Magnum 380, MX210, MX215, MX220, MX230, MX240, MX245, MX255, MX270, MX275, MX285, MX305, Puma 115, Puma 125, Puma 130, Puma 140, Puma 145, Puma 150, Puma 155, Puma 160, Puma 165, Puma 170, Puma 180, Puma 185, Puma 195, Puma 200, Puma 210, Puma 215, Puma 220, Puma 225, Puma 230, Puma 240, STEIGER330, STEIGER335, Steiger 370, STEIGER380, STEIGER385, Steiger 400, Steiger 420, STEIGER430, STEIGER435, Steiger 450, Steiger 470, STEIGER480, STEIGER485, STEIGER530, STEIGER535, STX275, STX280, STX325, STX330, STX375, STX380, STX425, STX430, STX440, STX450, STX480, STX500, STX530 and others. Call for details. Fits New Holland Tractor T8010, T8020, T8030, T8040, T8050, T9020, T9030, T9040, T9050, T9060, T7.170, T7.185, T7.200, T7.210, T7.220, T7.235, T7.250, T7.260, T7.270, T8.275, T8.300, T8.330, T8.360, T8.390, T8.420, T9.390, T9.450, T9.505, T9.560, T9.600, T9.615, T9.645, T9.670, T9.700, TG210, TG215, TG230, TG245, TG255, TG275, TG285, TG305, TJ275, TJ280, TJ325, TJ330, TJ375, TJ380, TJ425, TJ430, TJ450, TJ480, TJ500, TJ530, TM120, TM125, TM130, TM135, TM140, TM150, TM155, TM165, TM175, TM190 and others. M7 Series with waffle wheels. TF 180 Wheel Weight for John Deere, CNH, Deutz Fahr, others. Not all models and applications are listed. 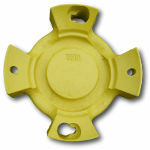 Our most popular wheel weight for mid size John Deere, Case and New Holland Tractors. One pair and done for most applications. Farmall 85U-115U, Farmall 110A-140A, Maxxum 110-140, Puma 115-240, 5220-5250, MX100-MX170, MXM190, MXU100-MXU135 and more. 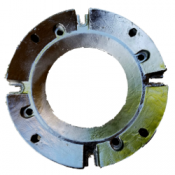 Agrotron 410, 420, 430, 610, TTV610, TTV620, TTV630, M600, M610, M620, M640, M350, X710, X720, K90, K120, TTV1145, TTV1160, Agrotron 120-150, 150.7-180.7, 215, 265. 5045D-5055D, 5045E, 5101E, 5065M-5115M, 5125R, 6100D, 6140D, 6150M-6170M, 6105R-6125R, 6200-6500, 6215, 6715, 6230-6430, 6403-6603, 6120L-6520L, 7130, 7230, 7430 (Europe Ed), 7530 (Europe Ed), and more. 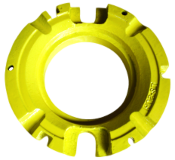 Perfect for Orchards and other narrow applications. 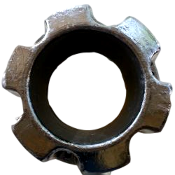 Brand New Casting. Color Matched to your Brand. Requires 28" or larger wheels. 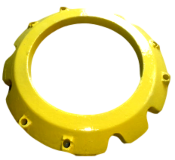 TF 183 Wheel Weight for Case, New Holland, Kubota, others. Replaces: 405829A1 & 87310406 and others. Fits Case IH Tractor Magnum 180, Magnum 190, Magnum 200, Magnum 210, Magnum 215, Magnum 220, Magnum 225, Magnum 235, Magnum 240, Magnum 245, Magnum 250, Magnum 255, Magnum 260, Magnum 275, Magnum 280, Magnum 290, Magnum 305, Magnum 310, Magnum 315, Magnum 335, Magnum 340, Magnum 370, Magnum 380, MX210, MX215, MX220, MX230, MX240, MX245, MX255, MX270, MX275, MX285, MX305, Puma 115, Puma 125, Puma 130, Puma 140, Puma 145, Puma 150, Puma 155, Puma 160, Puma 165, Puma 170, Puma 180, Puma 185, Puma 195, Puma 200, Puma 210, Puma 215, Puma 220, Puma 225, Puma 230, Puma 240, Steiger 280, Steiger 330, Steiger 335, Steiger 370, Steiger 380, Steiger 400, Steiger 420, Steiger 430, Steiger 435, Steiger 450, Steiger 470, Steiger 535, STX275, STX280, STX325, STX330, STX375, STX380, STX425, STX430, STX440, STX450, STX480, STX500, STX530 and others. Fits New Holland Tractor T7.170, T7.185, T7.200, T7.210, T7.220, T7.235, T7.250, T7.260, T7.270, T8.275, T8.300, T8.330, T8.360, T8.390, T8.420, T9.390, T9.450, T9.505, T9.560, T9.600 STANDARD, T9.615 STANDARD, T9.670, T9.700 STANDARD, T7030, T7040, T7050, T7060, T7070, T8010, T8020, T8030, T8040, T8050, T9020, T9030, T9040, T9050, T9060, TG215, TG230, TG245, TG255, TG275, TG285, TG305, TJ275, TJ280, TJ325, TJ330, TJ375, TJ380, TJ425, TJ430, TJ450, TJ480, TJ500, TJ530, TM120, TM125, TM130, TM135, TM140, TM150, TM155, TM165, TM175, TM190 and more. Fits Challenger Tractor MT945B, MT945C, MT955B, MT955C, MT955E, MT965B, MT965C, MT965E, MT975B, MT975C, MT975E. 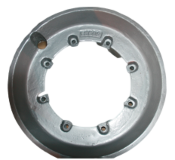 TF 184 Wheel Weight for Mahindra, Kioti, Case, Branson, Cub Cadet and others. We can color match to your brand. and others. Contact us for details. TF 301 Wheel Weight for Case, New Holland, Kubota, others. M5040, M6040, M7040, M8540, M9540, M95S, M105S, M105X and others. Call for details. Other options available. Agroplus 87, Agroplus S70-S100, Agrofarm 85, Agrofarm 100. 6100, 6200, 8100 Series Tractors and on Models 8220 and 8240. Fits other models and brands. Contact us for more information. TF 337 Wheel Weight for Case, New Holland, others. 300 pounds each allows for one per side without all the hardware expense and installation effort that stacking the 110 pound weights require. CaseIH- Farmall 65C, Farmall 70, Farmall 75C, Farmall 75N, Farmall 80, Farmall 85C, Farmall 85U, Farmall 90, Farmall 95, Farmall 95C, Farmall 95N, Farmall 95U, Farmall 105U, JX55, JX60, JX65, JX70, JX75, JX80, JX80U, JX85, JX90, JX90U, JX95, JX100U, JX1060C, JX1070C, JX1075C, JX1080U, JX1085C, JX1090U, JX1095C, JX1100U and others. New Holland- T4020, T4030, T4040, T4050, T5040, T5050, T5060, T5070, T4.75, TD75D, TD80D, TD95D, TD5030, TD5050, TL80, TL80A, TL90, TL90A, TL100, TL100A, TN55, TN55D, TN55S, TN60A, TN60DA, TN60SA, TN60VA, TN65, TN70, TN70A, TN70DA, TN70F, TN70SA, TN75, TN75A, TN75D, TN75FA, TN75S, TN75SA, TN85A, TN85DA, TN85FA, TN95A, TN95DA, TN95F, TN95FA, TN95VA, 4835, 5635, 6635, 7635 and others. Massey Ferguson- 4325, 4335, 4345, 4355, 4360, 4370, 5425, 5435, 5445, 5455, 5460, 5465, 5470, 5475, 5480, 6150, 6170, 6180, 6255, 6265, 6270, 6280, 6290, 6465, 6475, 6480, 6485, 6490, 6495, 6497, 6499, 6614, 6615, 6616, 7614, 7615, 7616, 7618, 7622 and others. White Tractor 6410, 6510, 6710, 6810. AGCO- LT70, LT75A, LT85A, LT90A, LT95A, RT95, RT100A, RT110A, RT120A, RT140A, RT155A, RT165A, RT180A, 8775. Challenger MT425, MT425B, MT445, MT445B, MT455, MT455B, MT465, MT465B, MT525, MT525B, MT535, MT535B, MT545, MT545B, MT555, MT555B, MT565, MT565B, MT575B. TF 338 Wheel Weight, Case, New Holland, Massey, others. Case IH, New Holland, Massey Ferguson and others. Brand New Casting, Color Matched to Your Brand. All applications are NOT listed. Farmall 45A, Farmall 55A, Farmall 65A, Farmall 75A, Farmall 110A-140A, 5220, 5230, 5240, 5250, 7210, 7220, 7230, 7240, 7250, 8910, 8920, 8930, 8940, 8950, Maxxum 110-140, MXU100-MXU135. M6800, M8200, M9000 Other Options Available. Call for Details. 4500, 4530, 5500, 5520, 5525, 5530, 6500, 6520, 6525, 6530, 7060, 7520, 8560. 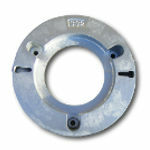 ALSO will fit mPower 75 and mPower 85 with 4 bolt hole patterns. Other options available. Call for details. 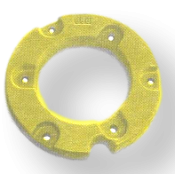 For models with hole mounting patterns of 4@12 3/4" use TF-341 first. We can color match most brands. 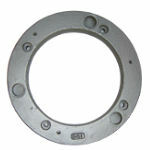 Use alone for models with hole patterns of 3@16 1/4" or together with TF-341 for models with 4@12 3/4" mounting patterns. Will fit many other applications. Contact us for more details. Drilled and Tapped to use as a starter for TF-340. Can also be used alone or stacked. TF-341 Brand New Casting. We can color match most brands. 107 pounds each, Will stack. Use alone or with TF-340 weight. TF 424 Wheel Weight Case, IH and others. 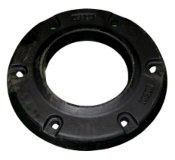 TF 509 Wheel Weight for CNH, Agco, Massey, others. New Wheel Weight. Agco, Branson, CaseIH and others. 6010, 6110, 3535, 4035, 3550, 2638, 2655, 2665, 3640, 3650, 2538, 2540, 2555, 2565, 5035, 3540. 1523-1560, 1635-1660, 1736-1759, 1734E-1739E, 1160-1190, 1205-1260, 1428V-1455V, 243-283, 360-399, 3315S-3355F, 3315GE-3355GE, 4225-4270, 6150-6180, 6255-6290, 8120-8160. 1030-4060, 8N, TC21A-TC55A, TC55DA, TC30, T1510-T1530, T2210-T2330, T2410-T2420, TN60V-TN75V, TN70F-TN95F, 1220-2120, 1530-1925, TW5, TW15. 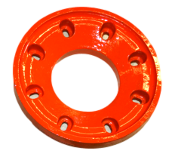 TF 510 Factory Type Kubota Tractor Wheel Weight. Fits Kubota Tractor L2350, L2500, L2550, L2600, L2650, L2800, L2850, L2900, L2950, L3000, L3010, L3130, L3200, L3240, L3250, L3300, L3301, L3350, L3400, L3410, L3430, L3450, L3500, L3540, L3560, L3600, L3650, L3710, L3800, L3830, L3901, L3940, L4060, L4200, L4240, L4300, L4310, L4330, L4400, L4600, L4610, L4630, L4701, L4740, L4760, L5030, L5040, L5060, L5240, L5460, L5740, L6060 and others. Call for details. 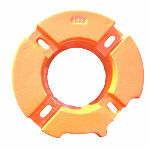 TF 512 Factory Type weight for Deere, CNH, Kubota, others. Fits John Deere Tractor 76F, 85F, 100F, 650, 655, 670, 750, 755, 770, 790, 850, 855, 870, 950, 955, 970, 990, 1050, 1070, 1250, 1350, 1450, 2150, 2155, 2250, 2255, 2350, 2355, 2450, 2550, 2555, 2650, 2750, 2755, 2850, 2950, 2955, 3055, 3155, 3255, 4005, 4010, 4044M, 4044R, 4052M, 4052R, 4066M, 4066R, 4100, 4105, 4110, 4120, 4200, 4210, 4300, 4310, 4320, 4400, 4410, 4420, 4500, 4510, 4520, 4600, 4610, 4620, 4700, 4710, 4720, 5045D, 5045E, 5055D, 5055E, 5065E, 5065M, 5070M, 5075E, 5075M, 5080M, 5083E, 5083EN, 5085E, 5085M, 5090M, 5093EN, 5095M, 5100E, 5100M, 5100ML, 5101E, 5101EN, 5103, 5105, 5105M, 5105ML, 5115M, 5115ML, 5200, 5203, 5205, 5210, 5220, 5225, 5300, 5303, 5310, 5320, 5320N, 5325, 5325N, 5400, 5403, 5410, 5420, 5420N, 5425, 5425N, 5500, 5510, 5520, 5520N, 5525, 5525N, 5603, 5625, 6100D, 6105D, 6105M, 6105R, 6110, 6110D, 6110L, 6115D, 6115M, 6115R, 6120, 6120L, 6125D, 6125M, 6125R, 6130D, 6140D, 6140M, 6150M, 6170M, 6200, 6210, 6210L, 6215, 6220, 6220L, 6230, 6300, 6310, 6310L, 6320, 6320L, 6330, 6400, 6405, 6410, 6410L, 6415, 6420, 6420L, 6430, 6500, 6510L, 6520L, 6605, 6615, 6715, 7405 and others. Call for more information. Also Replaces OEM No. 79018831, 710470016, 710470026 and others. Fits Case IH Tractor C50, C55, C60, C64, C70, C80, C90, C100, CX50, CX60, CX70, CX80, CX90, CX100, D25, D29, D33, D35, D40, D45, DX21, DX23, DX25, DX26, DX29, DX31, DX33, DX34, DX35, DX40, DX45, DX60, Farmall 30B, Farmall 30C, Farmall 31, Farmall 35, Farmall 35B, Farmall 35C, Farmall 40, Farmall 40B, Farmall 40C, Farmall 45, Farmall 45A, Farmall 50, Farmall 50B, Farmall 50C, Farmall 55 , Farmall 55A, Farmall 60, Farmall 65A, Farmall 65C, Farmall 70, Farmall 75A, Farmall 75C, Farmall 75N, Farmall 80, Farmall 85C, Farmall 85U, Farmall 90, Farmall 95, Farmall 95C, Farmall 95N, Farmall 95U, Farmall 105C, Farmall 105N, Farmall 105U, Farmall 105V, Farmall 115C, Farmall 115U, JX1075N, JX1095N, 385, 395, 485, 495, 585, 595, 685, 695, 785, 795, 885, 895, 995, 3220, 3230, 4210, 4230, 4240 and others. 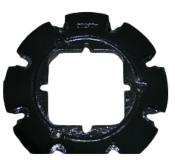 Fits Agco Tractor GT45A, GT55A, GT65A, GT75A, ST22A, ST24A, ST28A, ST33A, ST34A, ST41A, ST47A, ST52A, ST60A. Fits Challenger Tractor MT225B, MT255B, MT265B, MT275B, MT285B, MT295B, MT315B, MT325B, MT335B, MT345B. Fits Deutz-Fahr Tractor Agrofarm 85, Agrofarm 100, Agrofarm 410, Agrofarm 420, Agrofarm 430, Agrokid 35, Agrokid 55, Agrokid 210, Agrokid 220, Agrokid 230, Agrolux 57, Agrolux 60, Agrolux 67, Agrolux 70, Agroplus F320, Agroplus F410, Agroplus F420, Agroplus S320, Agroplus S410, Agroplus S420, Agroplus 67, Agroplus 70S, Agroplus 77, Agroplus 87, Agroplus 100S, Agroplus 310, Agroplus 320, Agroplus 410. Fits many Massey Ferguson models. Call for details. Fits many New Holland models. Call for details. 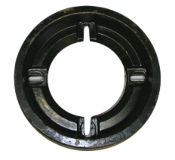 Fits Kubota Tractor B26, L48, L3130, L3240, L3430, L3540, L3560, L3830, L3940, L4060, L4240, L4330, L4630, L4740, L4760, L4850, L5030, L5040, L5060, L5240, L5460, L5740, L6060, M59, M95X, M96S,M100GX, M100X, M105X, M108X, M110GX, M110X, M125X, M126GX, M126X, M128X, M135GX, M135X, M4030, M4700, M4950, M5030, M5040, M5140, M5950, M6030, M6040, M6060, M6800, M6950, M7030, M7040, M7040SU, M7060, M7580, M7950, M8030, M8200, M8540, M8580, M8950, M9000, M9580, M9960, MX4700, MX4800, MX5000, MX5100, MX5200 and others. Call for details. 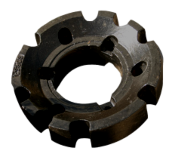 TF 514 Factory Type Wheel Weight for Kubota, Deere, others. M5040, M6040, M7040, M8540, M9540, M95S, M105S, M105X, M60 series and many others. Call for details. Other options available. 5045D, 5045E, 5055D, 5055E, 5065E, 5065M, 5070M, 5075E, 5075M, 5080M, 5083E, 5083EN, 5085E, 5085M, 5090M, 5093EN, 5095M, 5100E, 5100M, 5100ML, 5101E, 5101EN, 5103, 5105, 5105M, 5105ML, 5115M, 5115ML, 5200, 5203, 5205, 5210, 5220, 5225, 5300, 5303, 5310, 5320, 5320N, 5325, 5325N, 5400, 5403, 5410, 5420, 5420N, 5425, 5425N, 5500, 5510, 5520, 5520N, 5525, 5525N, 5603, 5625, 6100D, 6105D, 6105M, 6105R, 6110, 6110D, 6110L, 6115D, 6115M, 6115R, 6120, 6120L, 6125D, 6125M, 6125R, 6130D, 6140D, 6140M, 6150M, 6170M, 6200, 6210, 6210L, 6215, 6220, 6220L, 6230, 6300, 6310, 6310L, 6320, 6320L, 6330, 6400, 6405, 6410, 6410L, 6415, 6420, 6420L, 6430, 6500, 6510L, 6520L, 6605, 6615, 6715, 7405 and others. Call for more information. Factory Type Wheel Weight for Cast Wheels. 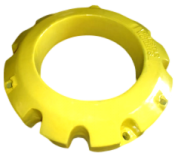 TF 603 Wheel Weight for John Deere, Mahindra, others. Brand New Casting. Color Matched Paint. Not all applications shown below. 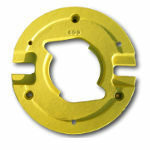 Generally used on older model John Deere Tractors. 4150, 4650, 4660, 5650-+5680, 6670-6690, 7600, 8160, 8630. 2605-2635, 240, 231-281, 231s, 243-283, 360-399. TW5, TW15, 3600, 4600, 3000-5000, 4600, 6600-7700, 2810-3910. Fits many Land and Garden models with 12" wheels. 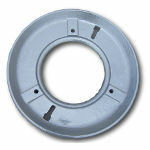 Mount Hole Centers: 6" - 6 ⅛"
Will fit many farm and garden models with 12" wheels. Fits Kubota M7 Tractors with waffle wheels. Will Stack. Often used together with R167153 starter weight. 9420,9430,9520,9530,9620,9630, 9570RT, 9520RT, 9470RT, 9620RT and others. 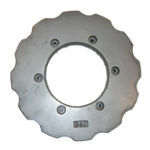 Mount Hole Centers: 3@22 ¼"
Inner Diameter: 14 ½" - 16"
TF 650 Wheel Weight for Deere, CNH, others. 5045D-5055D, 5045E, 5101E, 5065M-5115M, 6100D, 6140D, 6150M-6170M, 6105R-6125R, 6200-6500, 6215, 6715, 6230-6430, 6403-6603, 6120L-6520L and more. 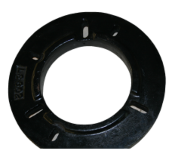 Wheel Weight for Many Lawn and Garden Tractors. 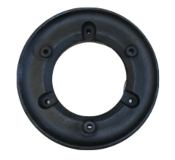 60 Pound Wheel Weight for Many Lawn and Garden and Compact Tractors. Will fit many Lawn and Garden Models. We can color match most brands. Mounts to inner cast wheel, concave side only. Will NOT Stack. Mount Hole Centers: 3@9 ⅞" AND 3@11 ¾"
TF 821 Wheel Weights for CNH and others. New Wheel Weight. Case, New Holland, Massey Ferguson and others. DK55, DK75, DK65, DK65S, DK75 and others. 4608-4610, 1160-1190, 1205-1260, 243-283, 360-399, 2650-2680, 2650HD-2680HD, 4225-4270, 6150-6180, 6255, 6290 and more. Workmaster 45-75, TV6070, TS6.110-TS6.140, T6.140-T6.175, TT55-TT75, TT45A-TT75A, TB100-TB120, TS90-TS110, TS100A-TS135A, TV140, TV145, T6010-T6090, TS6030, 3000-5000, TW5, TW15, 3230-5030, 3010S-7610S, 5640-8340, 8160-8560 AND MORE. New Casting. 101 Pounds each. And others. Contact us for more details. TF 830 Wheel Weight for CNH and others. Allis Chalmers- 8745, 8765, 8785.